PORT MORESBY, PAPUA NEW GUINEA, 15th November 2018 – Business leaders across Asia Pacific remain confident that their companies revenues will grow over the next 12 months despite increasing trade frictions. In its latest survey of 1189 business leaders across the 21 Asia-Pacific Economic Cooperation (APEC) economies, PwC found that 35% were very confident of revenue growth, down slightly from 37% a year ago, while a net 51% plan to increase investments over the next year. PwC carried out the survey in the lead up to the APEC CEO Summit which takes place this week in Port Moresby, the capital of Papua New Guinea. Business leaders in the United States and Thailand were among the most confident, with 57% and 56% ‘very confident’ of revenue growth while respondents in China and Mexico - two of the largest trading partners with the US - showed below average confidence. Following the imposition of further tariffs between the US and China in September, a second survey of 100 business leaders in the US showed a majority (69%) expect a positive impact on their revenues from tariffs and only 27% expect a negative impact from tariffs on company costs. In addition to being positive on revenue growth, a net 51% of business leaders are planning to raise levels of investment, up from 43% two years ago. The biggest winners across APEC for foreign investment will be Vietnam, China, The US, Australia and Thailand, with Australia entering the top five investment destinations as a new entry among respondents, and Indonesia dropping out of the top five this year. Business leaders are also looking beyond the largest markets for future investment targets. When asked which APEC economy (beyond the US and China) has the right conditions to spark the next fast-growing ‘unicorn’ start up, Singapore and Japan top the list. “While business leaders do not like uncertainty in any aspect of business, let alone flows of trade, they are learning to adapt to the new reality and finding ways to grow and thrive,” said Raymund Chao, Chairman of PwC, China. “While around a fifth of the business leaders we spoke to had experienced new barriers to trade this year the number of CEOs who are seeing new opportunities coming out of the new trade arrangements has doubled over last year. “While there are winners and losers in any trade war, our research clearly shows that businesses are uncovering new paths to growth”. The market for employment is also looking positive with 56% of business leaders creating more jobs and only 9% actively reducing headcount as a direct impact of technology on their workforce. However, the right talent is not always readily available with 34% of business leaders struggling to find the people that they need with the right skills and experience. The gap is felt acutely across science, technology, engineering and maths (STEM) skills with 65% of business leaders stating that their governments need to do more to train STEM professionals and only 14% feeling their government is doing enough in this area. This sentiment is also reflected when business leaders were asked what could be done to make growth more inclusive for more people across APEC. The number one factor that business leaders identified was expanded access to high-quality education at all levels followed by improved transport. “The issues of training and education are very clearly on the top of the agenda for business leaders in APEC, giving a clear message to heads of state as they meet this week in Port Moresby about what more help could be done for business to secure long term success,” said Raymund Chao. APEC business leaders are also very well aware of the need to invest more in becoming digital. With the internet economy projected to reach over US$200 billion in Southeast Asia alone by 2025, the top investment priority for business leaders is digital customer interactions closely followed by digital skills for their workforce. Business leaders also know they need to do more when it comes to being digital. Only 15% of business leaders describe their use of Artificial Intelligence (AI) as highly competitive while 33% are not making use of AI at all. Those companies that describe themselves as highly competitive at AI are clear what they need to do to build on their perceived lead: increase investments, build more capability in AI and invest in local start-ups. But while technology can provide part of the answer to sustainable growth, it is also presenting challenges in the new trade environment with moving data across borders identified as the area where businesses have experienced the biggest increase in new barriers in the last year - 20% - up from 15% in 2017. “As APEC’s businesses become more digital and embrace new technologies such as AI, data flows will increasingly become the fuel that will drive global trade. Dealing with concerns about increased barriers to data flow will remain a priority for business for some time,” added Raymund Chao. PwC is the knowledge partner to the APEC CEO Summit in Port Moresby, Papua New Guinea from 16-18 November 2018. PwC surveyed 1189 APEC business leaders from May-July 2018. And a further 100 US business leaders in October 2018. 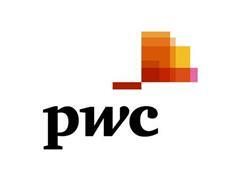 At PwC, our purpose is to build trust in society and solve important problems. We’re a network of firms in 158 countries with over 250,000 people who are committed to delivering quality in assurance, advisory and tax services. Find out more and tell us what matters to you by visiting us at www.pwc.com.